Vanderbilt University Boot Camps offers all its programs in Nashville. This central location helps you benefit from a hands-on classroom learning environment. 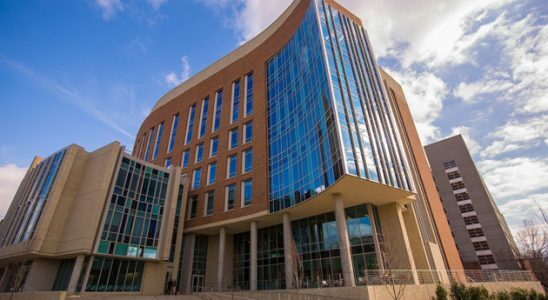 As one of the largest interdisciplinary buildings on campus, the Engineering and Science Building was programmatically designed to strengthen Vanderbilt’s growing reputation as a major producer of intellectual leaders, entrepreneurs, and innovators. The facility continues to advance the university’s position as one of the nation’s prominent research institutions, bolstering their ability to address the most critical challenges our society faces. Mondays and Wednesdays | 6:30 p.m. to 9:30 p.m.
Saturdays | 9 a.m. to 1p.m. Tuesdays and Thursdays | 6:30 p.m. to 9:30 p.m.
Saturdays | 9 a.m. to 1 p.m. Fill out the form below if you’re ready to learn more about Vanderbilt University Boot Camps. and Vanderbilt University School of Engineering.